The Museum of Contemporary Craft doesn’t exactly sound like the most exciting museum in the world, but thanks to its current Manuf®actured exhibit, it just about is. The show contains the work of many artists from around the world, and it is a study on “the conspicuous transformation of everyday objects.” One can expect the manipulation of everything from plastic army soldiers to lipstick tubes. These brightly colored three-dimensional works are guaranteed to entertain even the most stoic of art critics. 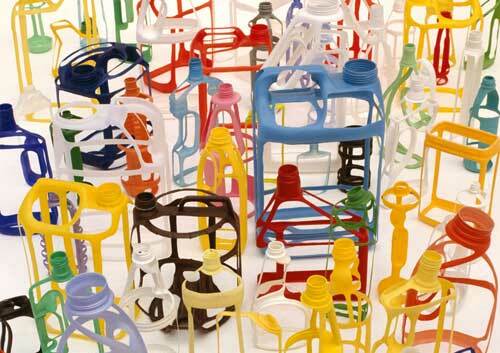 Régis Mayot is a French artist who mines trash bins for plastic containers and rids them of everything not necessary for structural stability. The resulting shells are reognizably similar to their original forms, yet stand alone as oddly shaped turns and lines of plastic. 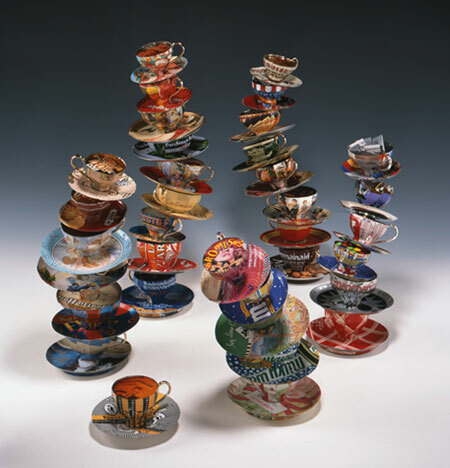 Harriette Estel Berman uses tin cans to craft sculptures resembling teacups. The final products, laden with Milky Way, M&M, and other food brands, are delicately stacked and cleverly magnetized to create visually appealing pieces that don’t stray too far from a tea party in Alice In Wonderland. 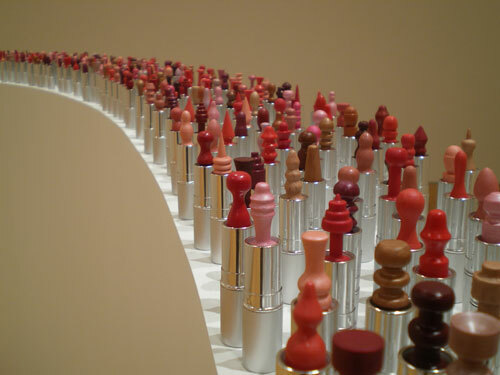 Livia Marin uses 2,214 tubes of lipstick to create spires of browns, reds, and pinks in Ficciones de un uso. This sprawling piece is immediately eye-catching upon one’s entrance into the Museum of Contemporary Craft, but fight your urge to take photos… they’re not allowed. 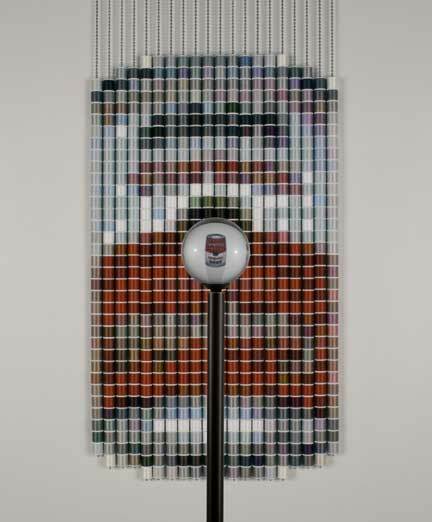 This piece is an ultimate example of “more than meets the eye.” Upon initial inspection, Devorah Sperber‘s After Warhol is just a bunch of spools of multi-colored thread arranged on the wall. Closer inspection through an acrylic sphere shows the viewer that the piece is in fact a Campbell’s Soup can, reminiscent of Warhol’s work. This show is now on display at the Portland Museum of Contemporary Craft until January 4th, 2009. Want to see mass produced items turned on their heads? Look no further.